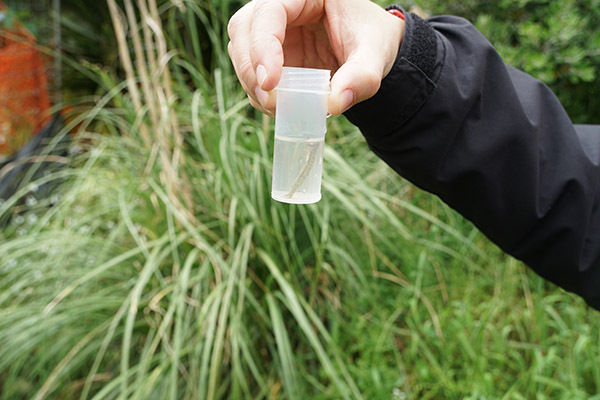 The volcanic cone that lies at the heart of Tāmaki Makarau, Pukekawa, is home to a surprising number of rare and endangered native species that are being monitored and cared for by Auckland Museum’s natural sciences team and a growing pool of citizen scientists. At first glance, Pukekawa looks like an ecological dead-zone for native species. Located in the centre of Auckland City, fringed by exotic oaks and covered in neatly manicured grass, it hardly seems like an ideal destination for a nature watching trip. However, looks can be deceiving. 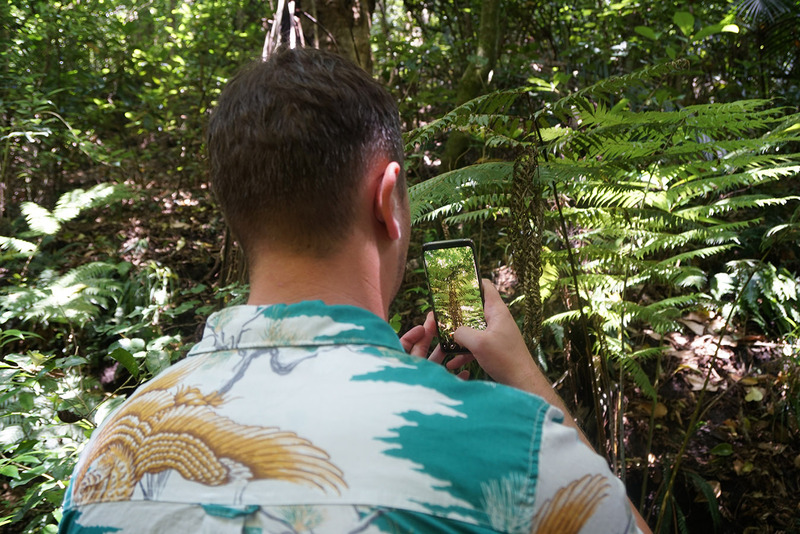 Take a stroll away from the pagodas and sports parks and you’ll soon find cool groves of nikau palms, towering stands of kauri and totara, clean, healthy streams and an abundance of insect life. During the past 250 years, this remnant of native bush and its occupants have witnessed many changes on this dormant volcanic cone. 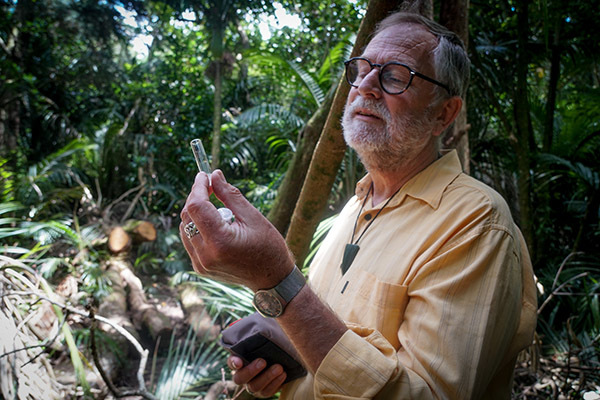 Curator of entomology John Early looks at a specimen discovered in Pukekawa during one of the regular sweeps the team conducts. In the 1840s, 3000 acres of land were purchased by the Crown from Ngāti Whatua with 200 acres being set aside as public domain. Pukekawa hill was the house site of Pōtatau Te Wherowhero, the first Māori king. Since then, this elevated nutrient-rich piece of land has had various uses – as a public water supply, a scoria quarry, nursery and a vegetable garden to supply Government House. Despite the colonial intentions of successive governments to create a home away from home complete with exotic ornamental gardens, breeding aviaries for blackbirds and fish hatcheries, a large variety of local plants and animals have still managed to keep a strong foothold in this area. Recording those native species and their population densities is of chief concern to our natural sciences team who are well aware of the rich biodiversity that can be held in these urban oases. 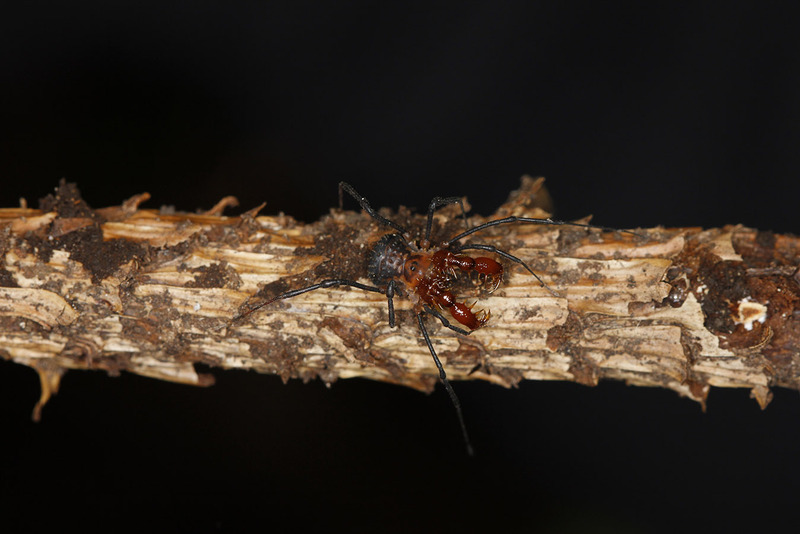 They are also interested to know what exotic species live here, and indeed the first records of some foreign invaders have come from Auckland Domain. 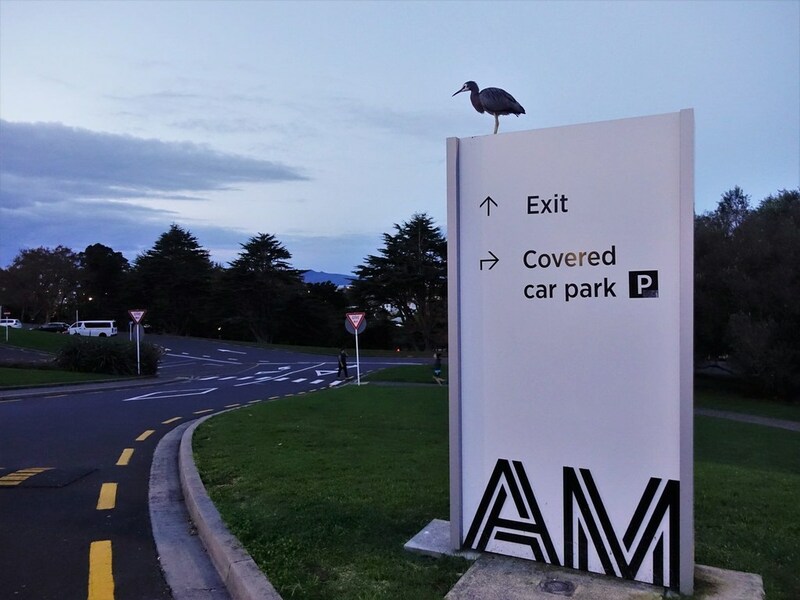 To take a snapshot of all species living within this area, the Auckland Museum worked with Landcare Research, other organisations and community groups to conduct BioBlitzes in 2005 and 2010 to develop baseline data. In the latest sweep, the team identified 1775 species from minuscule zooplankton to over 80 different types of beetles. Of considerable interest is the fact that 1036 of those species were plants, including a large number of exotic trees, making it one of the most botanically rich parks in the region. One of the most common species to be recording on the iNaturalist site is the white faced heron. Museum staff became fond of one of these birds who made her home around the south entrance, and gave her the name Moana until DNA analysis on a feather showed that ‘she’ was actually a ‘he’. 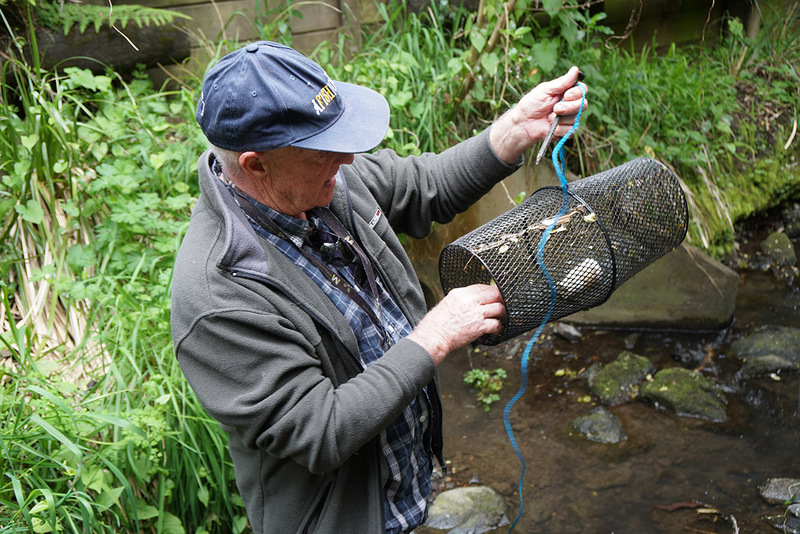 The team regularly draws on the help of freshwater fisher, Paul Woodward, to help monitor freshwater populations of rare and endangered fish. A little shag taking a dip in the duck-pond. 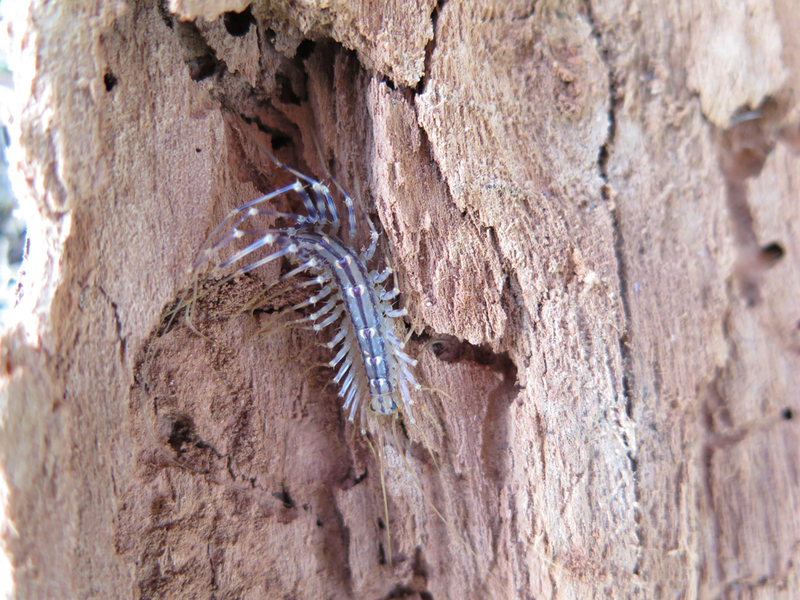 House centipede ( Scutigera) discovered underneath some eucalyptus bark. Typically, these centipedes have a brown complexion, though it is thought that this centipede has recently moulted, hence its electric blue appearance. Thanks to the help of hundreds of citizen scientists (read: families and kids), the team of scientists was able to identify all number of species, including about 40 new species of parasitic wasps in 2010 and – worryingly - a pest beetle which was thought to have been eradicated by the Ministry of Primary Industries. The value of urban oases like these cannot be underestimated. In a city that is largely covered in concrete, these tree-filled, food-filled areas can become safe havens for species which have found their natural environment over-crowded or inhospitable – or both. Additionally, they can provide a welcome stopping off point for birds or bats looking to establish a new territory – it is only by protecting these remnant green spots that we can help to create wildlife corridors. That said, you can create a refuge but without a team monitoring it how do you know its biodiversity value? Enter: the camera-wielding citizen scientist. Thanks to the fact that nearly everyone has a camera at hand to take high-resolution photos of the bugs, birds and botanical curiosities that surround them, we are in a prime position to record the inhabitants to determine the value of these urban hotspots. Indeed, since the 2010 BioBlitz, over 940 observations have been noted by the public in the Pukekawa area on the online portal iNaturalist. These observations are then pored over by a community of researchers, scientists and interested people who help verify and identify species. 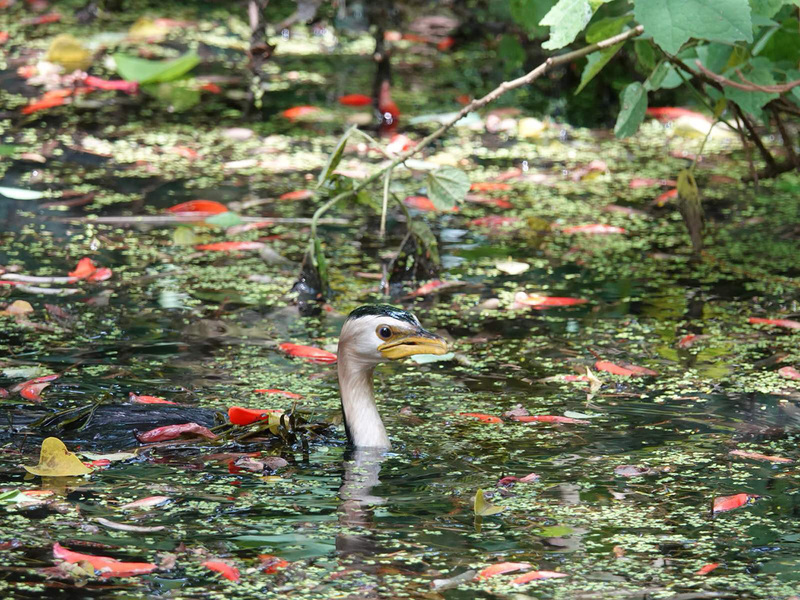 “People are often surprised at the variety of species that we find in the Pukekawa area, the iNaturalist project page currently has over 490 species observed from leeches to little shags,” says Collection Manager Dhahara Ranatunga. In April, the team will launch a self-guided trail in conjunction with the museum’s education team to help youngsters to hone their observation skills, so they can identify and learn more about the plants, bugs and creatures around them. Ultimately, the team hopes this will help to inspire a new generation of citizen scientists to help enrich our knowledge of the birds, bugs, ferns, fungi and mosses that live in these urban sanctuaries and beyond. ”Everyone in the natural sciences team here has been inspired by someone in our childhood, so we feel a degree of responsibility to pass on the torch and spark an interest in the next generation,” says Collection manager, Ruby Moore.